Item # 310665 Stash Points: 2,995 (?) This is the number of points you get in The Zumiez Stash for purchasing this item. Stash points are redeemable for exclusive rewards only available to Zumiez Stash members. To redeem your points check out the rewards catalog on thestash.zumiez.com. 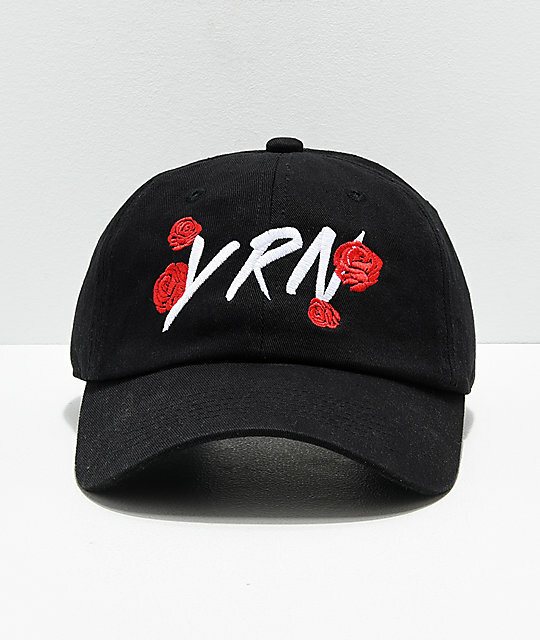 Add a touch of delicate style to your casual vibes with the Roses strapback hat from YRN. 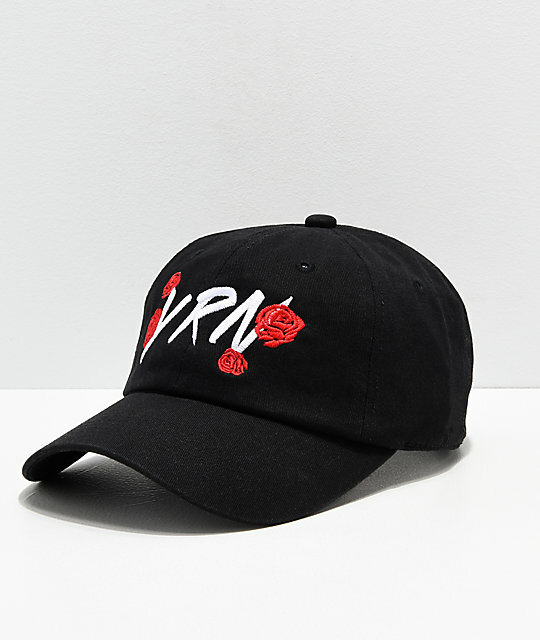 A black cotton hat features a curved bill, strapback sizing piece for a custom fit and is finished with YRN logo and red rose embroidery at the front. 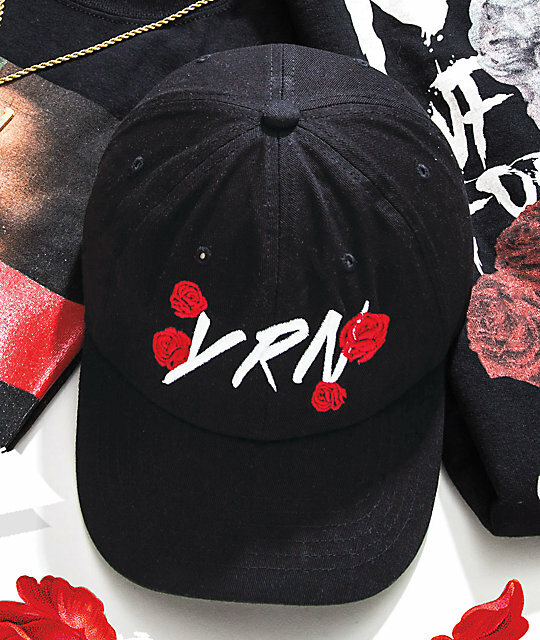 Roses Black Strapback Hat from YRN. 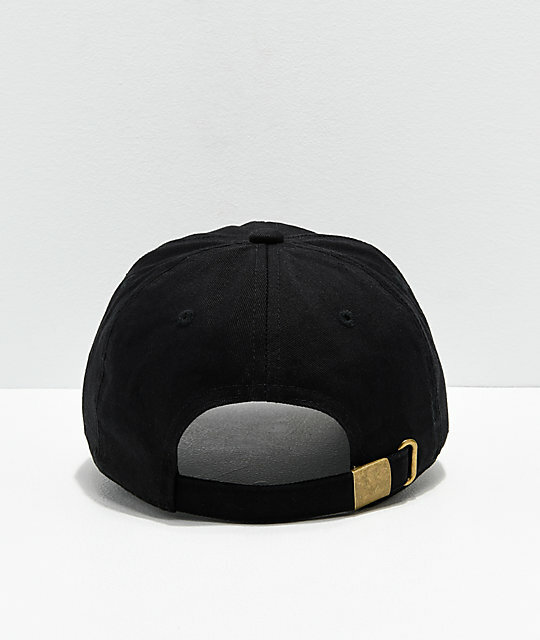 Embroidered logo graphics on front crown and logo script on back.